I was recently looking around my studio-space thinking how some of the artifacts that surround me have come to be there. 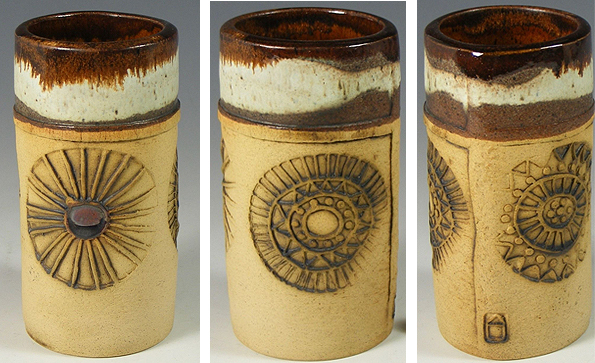 One such item is a small pot by ceramist Bob Dawe. From my school days, I used to visit the Bluecoat Display Centre in the heart of Liverpool. I must have stumbled across the place when I was still in school but just old enough to travel to Liverpool on my own. The Bluecoat Centre and gallery shop, has and always will be for me, a timeless, tucked away gem, some small oasis in the hustle and bustle of a busy Liverpool city centre. It must have been back in the early eighties, when I was taking my Art and Ceramics A levels, that I had saved up about £15 and bought myself this beautiful vase from the display shop. 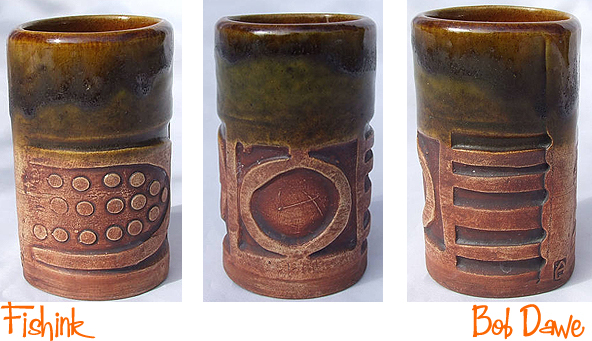 I must admit that it felt quite grown up to buy a piece of another artist’s work at the age of 17 and I’m guessing that I must have been attracted to it’s simple form and the 1960’s style of the sun stamp, which adorned one side of the vase. Thinking back, I think those early visits to the Bluecoat must have helped define my love of craft and designer objects and the appreciation I have for individual hand-made ceramics today. Here’s my vase. 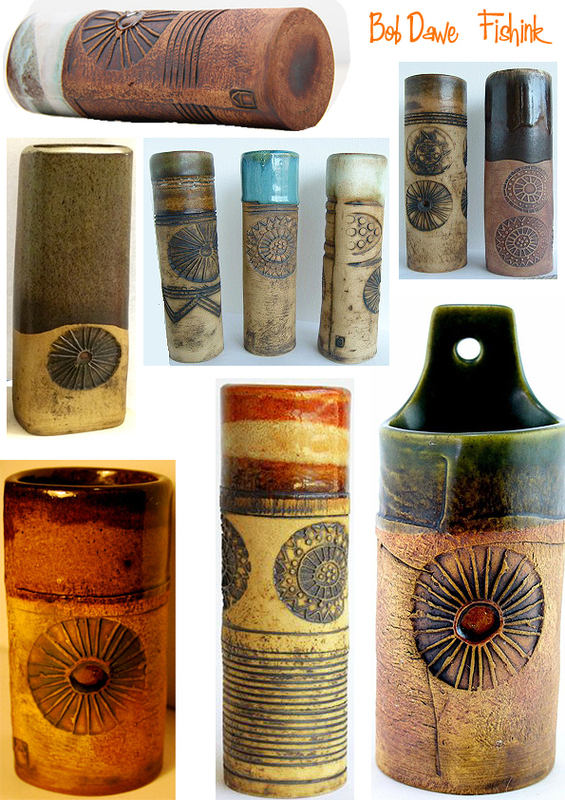 Bob Dawe and Howard Evans ran the Red Barn Pottery in Great Wratting, Suffolk, UK, from 1965 to 1968. From there he moved to Sudbury in Suffolk to work on his own. 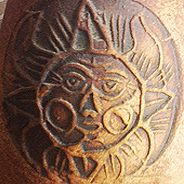 He specialized in using a rolling technique to create cylinder pots. 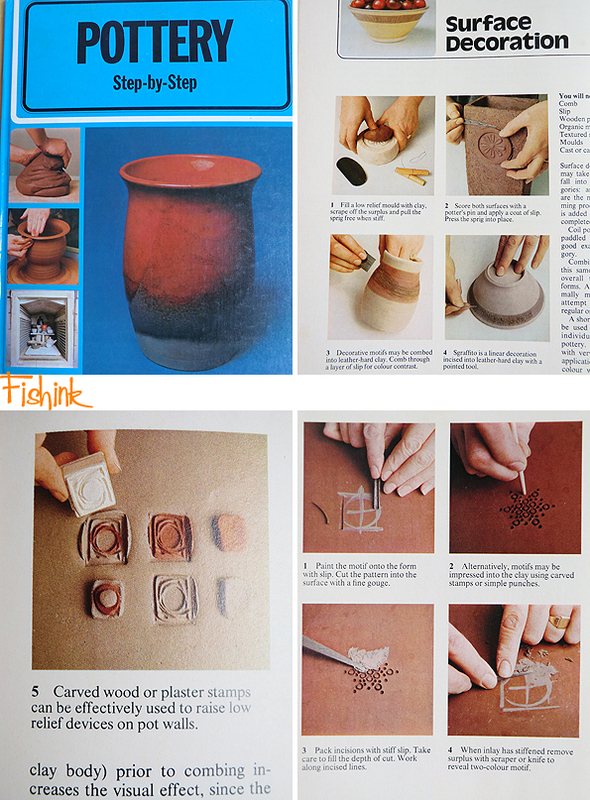 Decoration was usually incised lines and impressed marks. 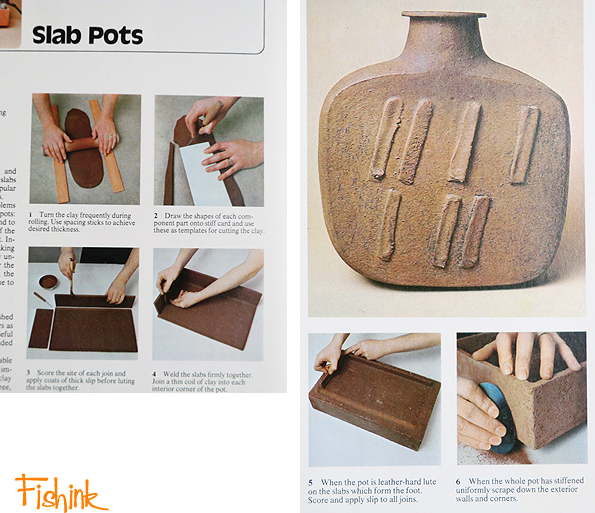 The way these pots are constructed is very important, such slab pottery is amongst the earliest that man ever made. 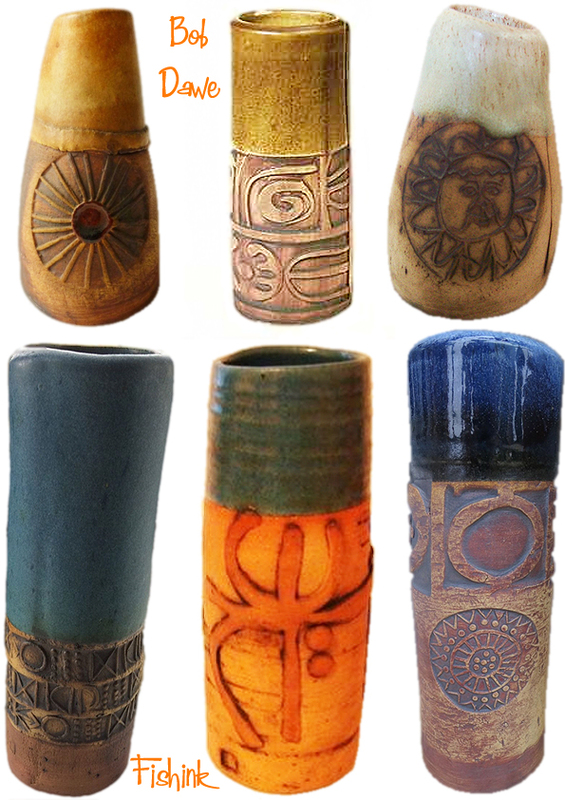 The technique used predates the wheel and along with simple techniques like pinching and coil making, date as the first pots of civilization. 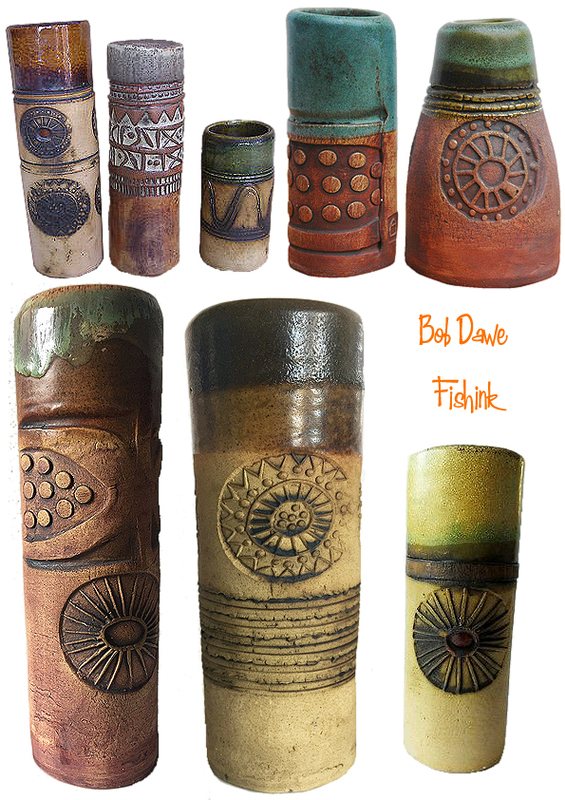 It was great to discover a little more about my early ceramic purchase and see more of Bob’s work from the same period. I’ve discovered that some of the larger, square ceramics are possibly made by Howard Evans, Bob’s working partner at the studio at the time. 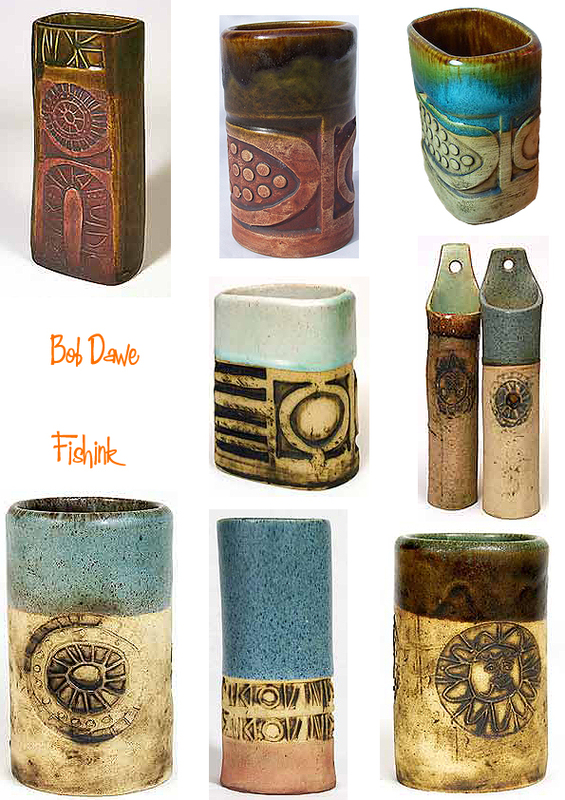 I thought I would leave them in to show the range of work coming out of the studio too. There’s almost something plant-like in some of his forms. What sits around you at home/ perhaps in your studio space, that has some personal or sentimental meaning ? ← Lucienne Day and Barbara Brown at Manchester’s Whitworth Art Gallery. Thanks for this. i now now who made a pot i bought in Glasgow in the 1970s and still treasure! Always good to know Mhairi isn’t it lol. Glad to hear you love your pot too. Wow, really great stuff. 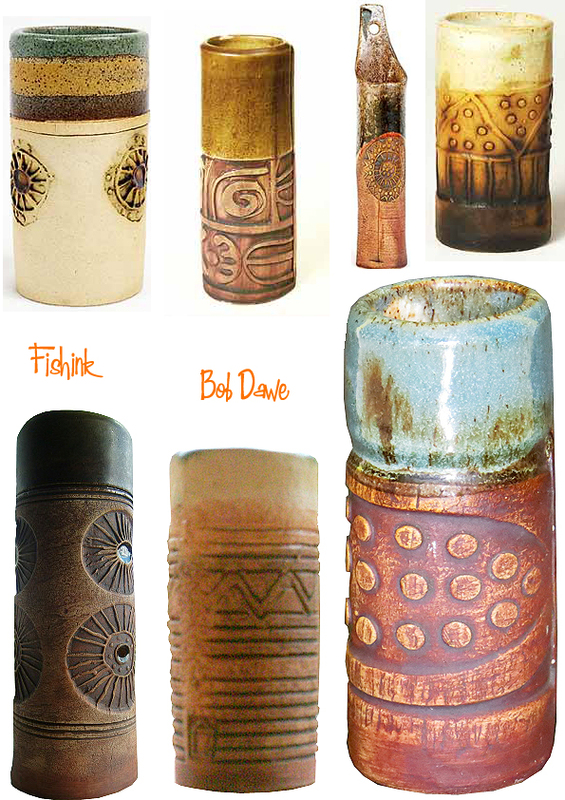 I like the unusual shapes, coloring blending and stamped/pressed motifs. Your question had me walking around my home looking to see what I handmade items I treasure. A few: a hand made small oak and walnut stool my brother made me, a few vintage quilts, some old carpenter tools that belonged to my Dad, and hand-hooked primitive wool rugs that I treat myself to each Christmas. Thanks Joy for answering my question. The stool sounds lovely, I have a mid century thin bookshelf that my grandad made and I later inherited. It’s a great piece and a visual delight for me too. Enjoy your treasures. Just wanted to say how much I enjoy your blog. Another interesting one again. I went to see the Vicky Lindo exhibition at the Emma Mason Gallery in Eastbourne. Read about her first on your blog. The work was really lovely. So a big thank you to you for featuring her.